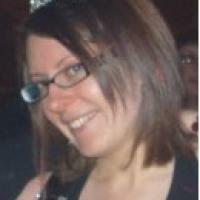 Jessica Thornsby studied Creative Writing at the University of Bolton. She has a background in technical writing and reporting, music journalism, and digital marketing. She is the co-author of O’Reilly Media’s iWork: The Missing Manual. She works as a technical writer at Can Studios, an award-winning team of developers, designers and producers who specialise in developing bespoke elearning materials, learning platforms and systems. Can Studios has created elearning and technology for many big names in the educational industry, including Collins Education, Folens, BoardWorks and Channel 4.